Just because we do have some small sizes of windows it doesn’t mean that we should not pay attention to it. Whatever the size of your window whether it’s small or wide sizes it should be installed with window treatments like window blinds and shades. With this type of treatment, it will give you with many benefits and it will also serve as decoration that can enhance the interior decoration of your place. 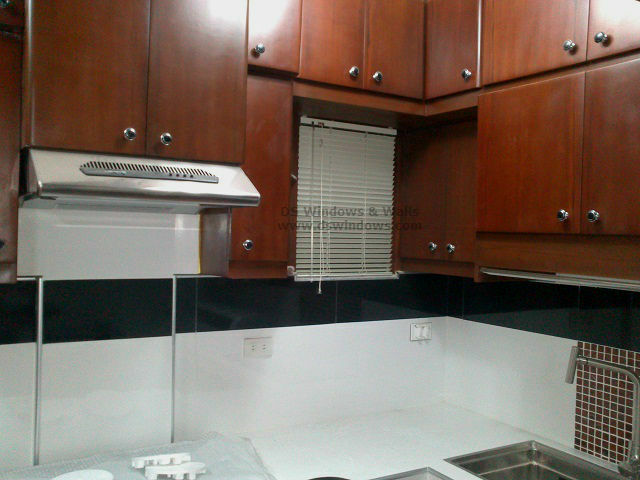 Just like our clients from Parañaque City, they have a small window in their kitchen and shower room. Instead of letting their small window as it is, they decided to put a venetian blind to cover it. Our client’s accent color for their home is white with a touch of cream and brown color for their kitchen cabinet. They decided to choose the champagne color to perfectly suit to their kitchen and shower area. They also chose mini blinds because it is low cost and can be cleaned easily, with just a wipe of cloth or feather duster the dust and the dirt will remove right away. Another good thing about mini aluminum blind is despite of its low cost, but its durability and quality is great, it has a high resistance to water and other moist areas like in the kitchen and bathroom. 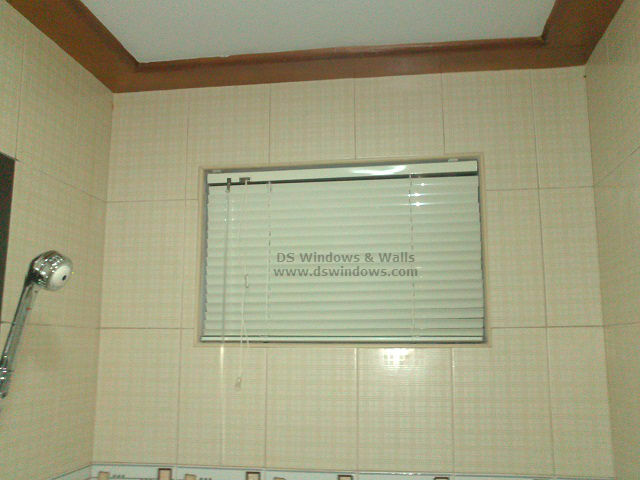 Mini aluminum blind has wide choices of colors that will suit best in any type of interior motif. 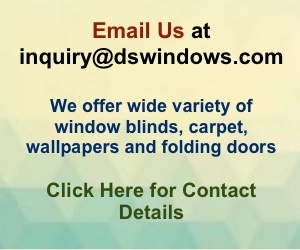 DS Windows and Walls offer different finishes and designs of mini aluminum blinds like plain, metallic, perforated and printed designs. For more information about our products you may visit webstore at www.angryblinds.com.ph or visit our shop located at 4th level Waltermart Makati, 3rd level Robinson Metro East Pasig City and 2nd level Pacific Mall Lucena City.